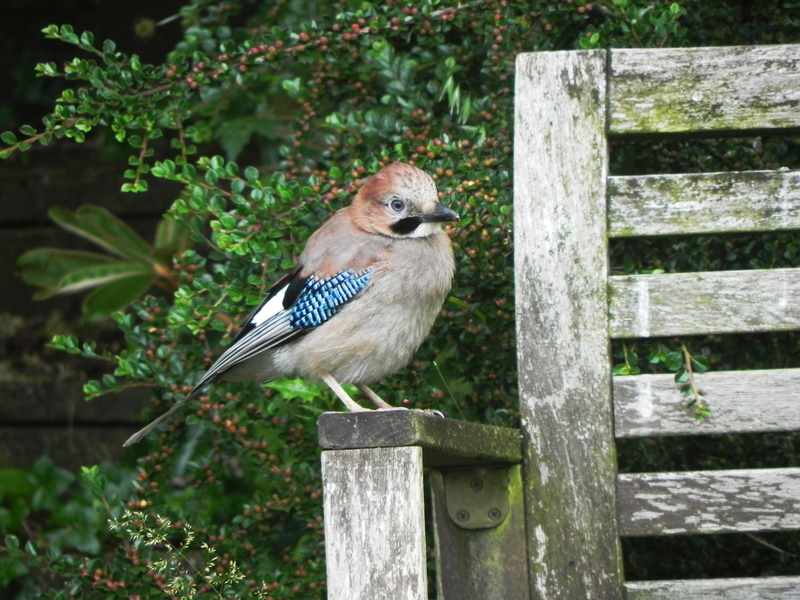 After we’d been here for a couple of years, one day, out of the blue so to speak, a Jay appeared in the garden. Jays are normally shy and retiring birds, not unusual for members of the crow family, who all feel that humans and birds can really only co-exist peacefully, if they lead totally separate lives. As a general rule they tend to go about their business in such a manner as to avoid humanity wherever possible – and to studiously ignore them where avoidance isn’t an available option. The next scene in the unfolding drama involved, after several months of sporadic visits, the escalation of the investigation from the garden to the bird table. This, too, required a protracted protocol. Presumably this was needed to confirm that the quality of the offerings maintained an acceptable standard, in the longer term. Then, the day came when not one but two Jays appeared. The plot thickened! They did scrabble half-heartedly in the undergrowth beneath our Oak Trees, but there was no doubt that the bird table was their main target. This week, four Jays appeared. Obviously, our original two adults – and two youngsters. The youngsters were introduced to the nuts, the fat balls, and the assorted offerings on the table. Then the two adults left.